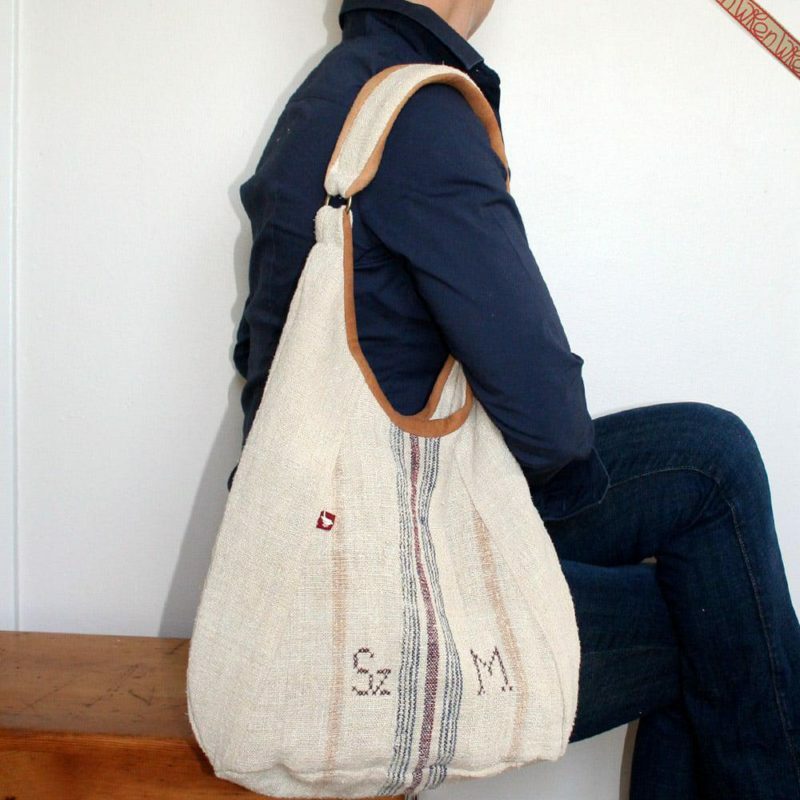 Every now and then there will be a Classic Antique Linen Bag that has a monogram carefully stitched alongside the stripe on the grain sack, or on most of the Antique Linen napkins I buy, initials or designs are embroidered on. These are personal marks, carefully placed and delicately added many years ago that have remained a part of the cloth till today. Going back into the history of a monogram, in the Middle Ages it was the “signature” of the founder or lord of a building carved into the keystone. For years artists used their monogram to lay title to their work as opposed to signing it as they now do. The Greeks monogramed their medals, coins and scupltures and in fashion and homeware, monograms served as laundry markers allowing linens to be washed without being mixed up. 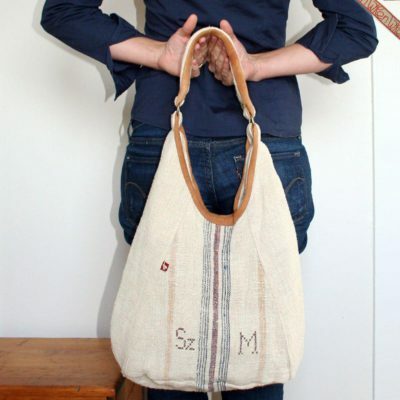 (Selvedge Magazine, Issue 48, Sept/Oct 2012, Pg 55, “Namesake” by V. Bain). With monogramed napkins there is even more of a story…. We know napkins as paper or fabric cloths used to wipe our hands and/or mouths after eating, and to protect our clothing from any falling food but there are many historians who believe that this use is far from the original function of the napkin. “The first recognizable cloth napkins are found in Roman antiquity and were known as ‘sudaria’ and ‘mappae’. The sudarium was used as a pocket handkerchief and the mappa on tables” (The Book of Fine Linen by F. de Bonneville). Guests brought their own ‘mappa’, or napkin as we know it, and at the end of the meal they took a portion of left-over food home, wrapped up carefully in their mappa. Over time the mappa became luxurious – woven either from fine linen or silk, decorated by stitch and often with initials of the owner (monogramed). In a simple story of context: when you went for dinner you either brought your own monogramed napkin along to take left-over bread home in, or, if the hosts were wealthy, they would give you a gift of bread in a monogramed napkin to keep. 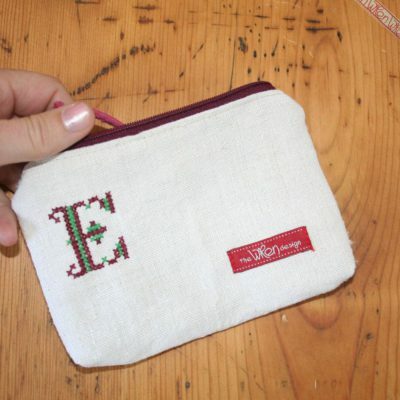 This entry was posted in Blog and tagged embroidered initials, embroidery, history, history of monogramed napkins, initialed cloth, monogramed, monograms, story of napkins.